If there’s one thing that’s more adorable than dogs then it’s definitely puppies. Take this little guy in the video below as a perfect example. 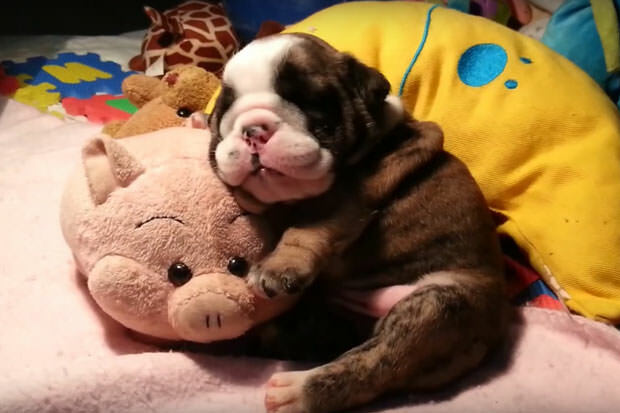 The cutest little English bulldog of them all is enjoying some much-deserved dreamtime with his favorite toys, including a teddy bear and a fluffy pink pig. If that wasn’t unbearably cute enough, the pup is gently snoring.